Whereafter Release Date Set and More! It seems like all of a sudden there's just so much going on! The biggest news is that I've set the release date for Whereafter (Afterlife #3)! The release date is March 15, 2016. I'll be revealing the cover during the first week in February, and a pre-order option should be available shortly. Whereafter is listed on Goodreads, so you can go ahead and add it to your TBR list! 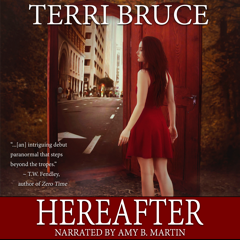 Hereafter audio book now available! The audio book version of Hereafter is available!! You can order it from Amazon.com, Audible, and iTunes. I'm starting off 2016 with a bang! My short story, "The Well" has been sold to Third Flatiron press for their forthcoming "It's Come to Our Attention" anthology (releasing February 2016). The anthology features stories of things happening quietly under the radar. "The Well," a Lovecraftian horror story about a picturesque New England wishing well, fits the theme perfectly! I'll be at Arisia in Boston, MA January 15 - 18. I'll be on several panels, including a fun one about "The Fast and the Furious" movies on Friday night. I'll also be part of the Broad Universe party on Friday night and the fantasy author panelists group reading (I'll either be reading my short story "The Lady and The Unicorn" ("Live Free or Dragons", Fall 2016) or an excerpt from Whereafter. What do you think - which should I read from? Also, you'll be able to buy copies of Hereafter, Thereafter, and Dear Robot at the Broad Universe table in the dealers' room as well. I'll also have some ribbons to give out, so come find me and ask for my ribbons! If you're a SF and/or fantasy fan in the New England area and have never been to Arisia, you should definitely go at least one day. It's amazing - programming is offered 24/7 and the oh, the cosplays! Oh, the gaming! Oh, the filking! There's a geeky belly dance show, parties, an art show, and more! Seriously, you have to go! 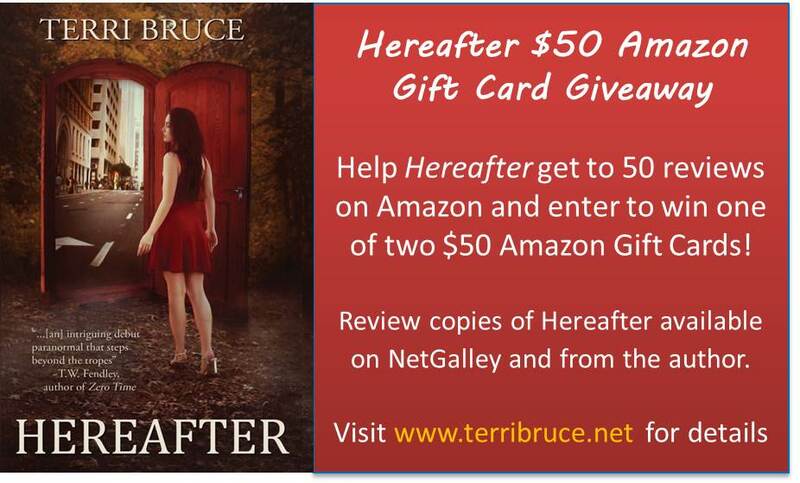 Only 11 more reviews of Hereafter on Amazon needed and then I can give away two $50 Amazon Gift Cards! If you've read Hereafter, even if you didn't like it, please leave a review on Amazon. Reviews help authors more than you know! If you haven't yet had a chance to read Hereafter, it's only $0.99 on Amazon or you can request a review copy from me. And that's all the news I have at the moment - but stay tuned, more things are in the works!